EU approves amended rules for ship inspection organisations 7 02 2019 The EU adapted its legislation to ensure legal certainty for ship operators when the UK leaves the EU. On January 25, member states' ambassadors approved amended rules on the assessment of ship inspection organisations, whose task it is to ensure the safety of ships and prevent marine pollution. The presidency reached a provisional agreement with the European Parliament on 21 January. 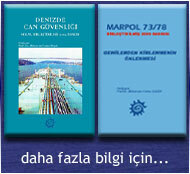 EU flag states can delegate surveys and certification of their ships to classification societies recognised by the EU. Each of these classification societies has a 'sponsor' member state, meaning the country which initially submitted the request for recognition of the organisation. Curently, the Commission assesses recognised classification societies at least every two years, and the 'sponsor' country must take part in the assessment. The UK is the initial sponsor of two organisations recognised by the EU. After Brexit, it will no longer be able to participate in the assessments for those two organisations. The amended rules will replace the requirement that only the initial sponsor country is to participate in the assessment, with a provision allowing the participation of any EU country which has authorised one of the recognised organisations. This will enable organisations for which the UK has acted as sponsor to continue to conduct inspections on behalf of member states. The agreed text will now undergo legal and linguistic finalisation. It must then be formally adopted, first by the Parliament and then by the Council. After adoption, the regulation will be published in the EU's Official Journal. It will become applicable the day after EU law stops applying to the UK.